An S Corporation is merely a corporation which has elected a special tax status with the federal government. 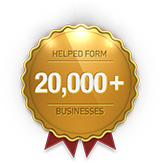 It was created for smaller business owners. The special tax treatment permits the income of the corporation to be treated like the income of a partnership or sole proprietorship in that the income is “passed through” to the shareholders. Not more than 35 stockholders. Stockholders must be individuals, estates or certain trusts. Except for the above characteristics, an S Corporation follows the same guidelines as a regular “C” Corporation. A corporation is owned by stockholders. While stockholders do not directly manage the corporation, they influence corporate decisions through indirect actions such as electing and removing directors, approving or disapproving amendments to the articles of incorporation and voting on important corporate decisions. day-to-day business decisions of the corporation. Officers are responsible for the everyday management of the corporation. Typically, officers are appointed directly by the Board of Directors. An S Corporation follows the same structure as a regular corporation. However, an S Corporation is usually owned and run by a small number of individuals or family members (one or more). Thus, while the above structure applies, the same person or related persons or a small number of persons MAY control all positions. An LLC is owned by its members. The members of an LLC are like partners in a partnership or shareholders of a corporation. A member will more closely resemble a shareholder if the LLC utilizes a manager or managers, because under that situation the members will not participate in the management of the LLC. However, if the LLC does not utilize managers, then the members will more closely resemble partners because they will have decision making powers in the LLC. The member’s ownership in the LLC is represented by their respective “membership interest”, in the same manner as a partner has an “interest” in a partnership or a shareholder has stock in corporation. Number of Members: Most states require LLC’s to have at least two members. The states which allow one member LLC’s are: DE, ID, MO, MN, NY, TX and VT.
A corporation has unlimited life. If an owner dies or sells his interest, the corporation will continue to exist. Ability to easily establish insurance and retirement plans. Ownership of a corporation is easily sold or transferred through sale or transfer of stock. Capital can be raised through the sale of stock. The special tax treatment permits the income of the corporation to be treated like the income of a partnership or sole proprietorship in that the income is “passed through” to the shareholders. Thus, shareholders report the income or loss that is generated by an S Corporation on their individual tax returns. Under these circumstances the “double taxation” potential is avoided. Taxation: Pass-Through Taxation LLC’s allow for pass-through taxation, allowing earnings of an LLC to be taxed only once. The earnings from an LLC are treated in a similar manner as earnings from a partnership, sole proprietorship and most S corporation. Limited Liability: The member’s liability is generally limited to the amount of money which the member invested in the LLC. As a result, the members of an LLC receive the same limited liability protection as do shareholders of a corporation. Flexible Organizational Structure: LLC’s are generally free to establish any organizational structure agreed upon by its members. Thus, profit interests may be separated from voting interests. Complexity and expense of forming a corporation or LLC. The primary disadvantage to incorporation is the possibility of double taxation. The profits of a corporation are taxed twice when the profits are distributed to shareholders as dividends. They are taxed first as income to the corporation, then second as income to the shareholder. However, all reasonable business expenses such as salaries and other operating expenses are deductions against corporate income that can minimize double taxation. “Double taxation” can be eliminated by making an S Corporation election. Not more than 75 stockholders. An S Corporation cannot have shareholders who are C-Corporations, other S Corporations, certain trusts, LLC’s, partnerships or nonresident aliens. S Corporations are not allowed to own 80% or more of another corporation’s shares. Possibility of losing pass-through taxation if the LLC is not properly structured. More paperwork than an ordinary partnership. The members of the Board of Directors are responsible for managing the affairs of the corporation. Usually, directors make only major business decisions, however they supervise and appoint officers who make the day-to-day business decisions of the corporation. Generally, in most states a corporation is only required to have one director, however you are permitted to have more. However, certain states base the required number of directors on the number of stockholders. If the corporation has 3 or more stockholders, then the corporation must have at least 3 directors. If the corporation has less than 3 stockholders, then the number of directors may be equal to or more than the number of stockholder The states which have this rule are: CA, CO, CT, HI, LA, ME, MD, MA, MO, NY, OH, VT and UT. An S Corporation follows the same guidelines as a regular corporation. However, an S Corporation is usually owned and run by a small number of individuals or family members (one or more). Thus, while the above structure applies, the same person or related persons or a small number of persons MAY hold all positions. An LLC is owned by its members. The members of an LLC are like partners in a partnership or shareholders of a corporation. If the LLC is managed by its members, then it operates much like a partnership. Each member shares equally in the decision making process of the LLC. Alternatively, the members may choose to appoint a manager or managers to act in a capacity similar to a corporation’s board of directors. The managers are then in charge of the business affairs of the LLC. If managers are not designated in the articles of organization, the members will be deemed to direct the business affairs of the LLC. A member will more closely resemble a shareholder if the LLC utilizes a manager or managers, because under that situation the members will not participate in the management of the LLC. However, if the LLC does not utilize managers, then the members will more closely resemble partners because they will have decision making powers in the LLC.